his music is emotionally direct and always involving the intelligent listener. This is the kind of music for which many people have been secretly hoping for years... [The Concertante] is a magnificent composition, in the line of a single-movement three-sectioned combination of emotional power and relaxation, drama and contemplation, superbly expressed within an underlying and unifying pulse... The performances are totally committed and the recording quality is really fine. This is the kind of music that gives one hope for the future of our art. The equal partnership between the three elements results in a highly charged and emotionally satisfying work. It's another demonstration of Sawyers’ complete grasp of writing thematically interesting music that rewards the listener at every level. 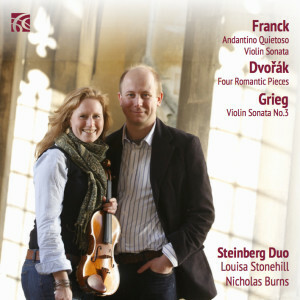 While short in terms of length it is dynamic with a powerfully driven motivic sense that cannot fail to grab the listener’s attention... the Steinberg Duo perform the last work in a thoroughly winning way that will help the Concertante gain many devotees... This is a disc that anyone new to the music of Philip Sawyers, as I was, will find highly rewarding and thoroughly infectious. 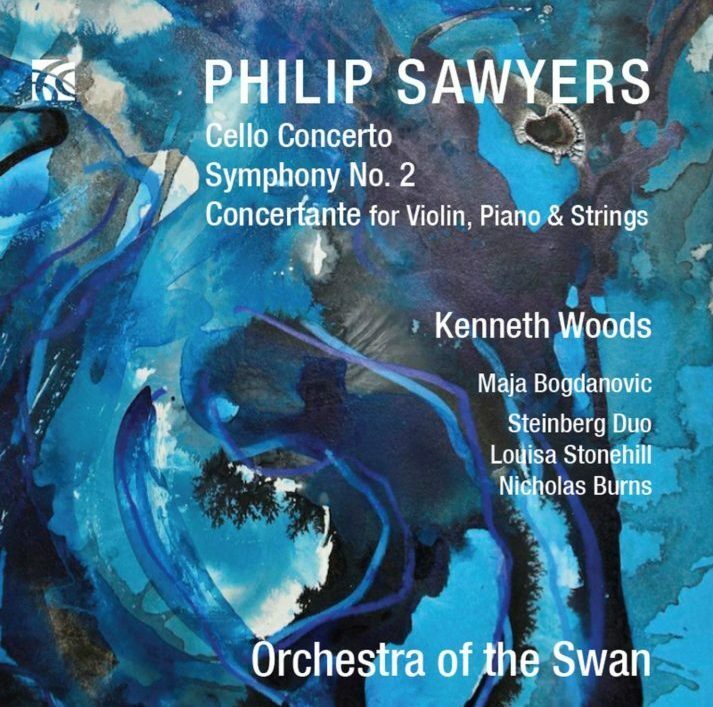 Philip Sawyers is a name I’ve never come across before but I must say that I am delighted to have discovered his music. The three works included here have an instant melodic appeal... Added to this melodic gift the composer also writes music that actually goes somewhere. There is a good “old fashioned” grasp of form and structure... Musically this is rather special. I hope that Nimbus is planning to record more of Philip Sawyers’ work. Hugely impressive. here is Philip Sawyers with an effortless demonstration that the history of music can proceed in an unbroken line... There is much pleasure in observing with what freedom and resource Sawyers shows passing but fleeting respect for 12-note techniques in both the Symphony and Concertante. That is as it should be. To have piano and violin as soloists in a concerted work is unusual. Haydn and Mendelssohn had shown that it could be done successfully, and Sawyers has also managed a work of great accomplishment. The start could hardly be more compelling. This CD reflects great credit on all the performers, but most on a composer previously unknown to me. There is activity, life, melodic lines, drama and purpose. It is music that is rich, well developed and satisfying and masterly but not excessive orchestration. If it becomes well known it will make many friends and no enemies. This is a particularly unusual and very attractive work. The two fine soloists, Louisa Stonehill and Nicholas Burns provide spectacularly fine performances ably supported by the strings of the Orchestra of the Swan. Anyone that has an interest in British music should not hesitate to acquire this new release.